Oh My God Guys u heard about This!!!!!!! 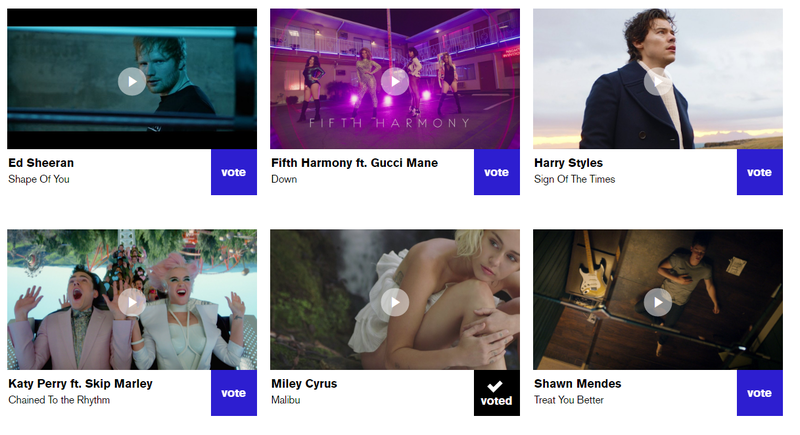 Vote For Down(best pop video) on VMAs .....Thank U...May God be wit u ...Love u my babies. Why would I vote for a song that should be nominated for worst pop video? noah fence, but there's no creativity in that video, why would anyone?